My name is Rev. 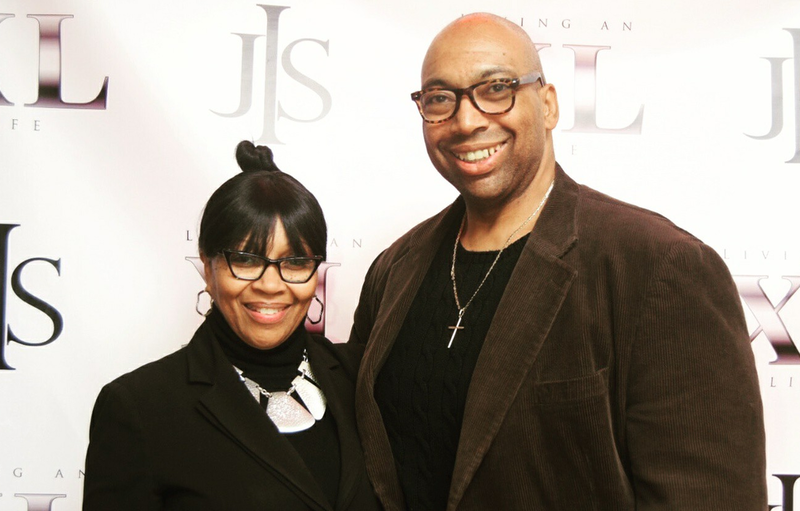 Darren Ferguson - I am a father, a husband, a pastor, a musician and a mentor. I’ve worked at the largest Baptist church on the East Coast, and was Al Sharpton’s youth director for a while. Before any of that I was known as 91A4413 at Sing Sing Correctional Facility in New York. God gave me a second chance. So did the Vice President of the Osborne Association who gave me a job one month after my release from prison back in 1998. Every day, men and women like me return home needing the opportunity to do right. One of those opportunities comes through banning the box on job applications. We have the power to create fair hiring policies and give our citizens returning home from incarceration the second chance that we all deserve. We are asking our President to ensure that formerly incarcerated men and women have an equal chance for employment without discrimination by Banning the Box on job applications and creating Fair Chance federal hiring policies. Nearly 1,000 people have already signed the petition: Join them today by adding your name, too. My daughter took her first steps inside the visitor’s room at Rikers Island. When she was 4-years-old, she realized I was in jail and was confused - her daddy was in a place that she’d heard only bad people went – yet, there I was, and she loved me. I explained to her that jail was full of a lot of decent people who had made very bad mistakes. She is 26-years-old now and constantly reminds me of what she learned that afternoon – that everyone deserves to not have their whole life measured simply by their worst choice. Join us in urging our President to safeguard the second chances of our friends and family returning home from incarceration by banning the box on federal hiring and create Fair Chance hiring policies today. Every time I walk to work as the Campus Life Manager at LaGuardia Community College, I pass by the door I exited when I was released from nearby Queensboro Correctional Facility in 1998, stepping out of incarceration into freedom. I am constantly reminded of the power of redemption – in my own life, and for the lives of the young men and women I work with. So let us not just lift our hands to praise God for this redemption – let us stretch them out to help our brothers and sisters know its tangible work, and the power of second chances in their own lives. In the past weeks, we have been moved and inspired by the testimonies many of you have included as you've signed the Federal Fair Hiring petition. We want to hear more, and we want to share your second chance stories with our President when we drop off the Federal Fair Hiring petition in April. I'm sharing my second chance photo and story - will you join me? We believe our work should be led by our voices that are closest to our issues, closest to our pain. Email your photo and testimony: Share with our President how you or the ones you love would benefit from having a fair chance at employment. PS – Knowing the power of stories, Brave New Films just released a great, seven-minute documentary about one man’s struggle to find his second chance after returning home from incarceration. If you haven't seen it yet, click here to watch it. PPS – If you want to read more about my story as a returning citizen and the work we've been doing to Ban the Box in California, you can find it here in the Washington Post. And if you haven’t yet signed the Fair Chance Hiring petition to our President, click here to add your name today. 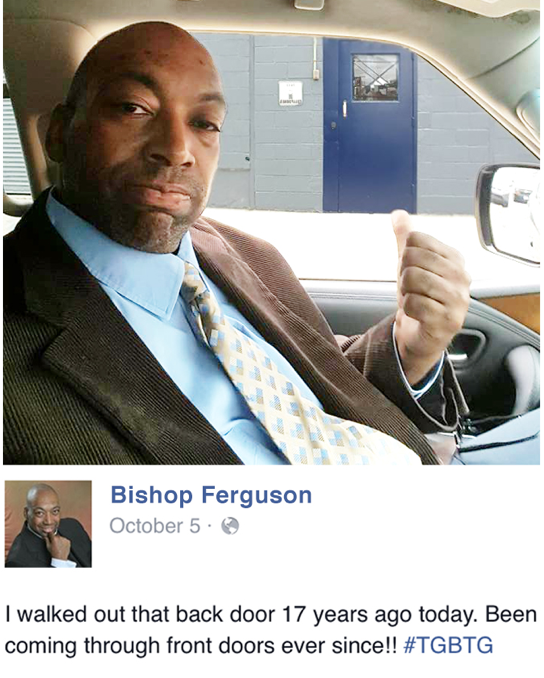 It’s been 17 years since I walked out the door of Queensboro Correctional Facility, stepping out of years of incarceration into freedom. I know first-hand the power of second chances. Yet every day, nearly one in three of our brothers and sisters are denied their opportunity for a second chance by a little check box on job applications - their worth being measured simply by their worst choice in life. No one should be defined by the worst thing they’ve done. As part of our 40 Days of Faithful Action, join us in asking President Obama to create Fair Chance Federal Hiring policies by banning this box on Federal job applications today. Across the country, we are organizing to reform the structures that deny people's full dignity and restoration. Every day this week, as part of a month-long letter writing campaign, PICO federations along with dozens of our partners, are sending letters to our President asking him to ban the federal box. Join PICO in asking President Obama to ban the box: Add your signature to our letter by Thursday, October 15th and we will deliver it to the White House on Friday, October 16th. We believe in a God of second chances. We believe that no life should be thrown away. So, let us not just lift our hands to praise God for the redemption and hope we’ve found in our own lives – let us stretch them out to help our brothers and sisters know its tangible work, and the power of second chances in their own lives today. PS - This work is made possible by all of us chipping in – please support our movement with a gift today. PPS - You can also find more of my story on Facebook or Twitter. Last week was monumental as I crossed the threshold of the White House with 9 other formerly incarcerated leaders and clergy who would have been denied entrance just a year prior. Our presence was an important victory. So were the more than 8,500 of our signatures that we carried with us, asking our President to ban the box on all federal job applicaitons, accompanied by our communities’ stories filled with hope, love and redemption. While we met with the White House, another group of formerly incarcerated clergy and leaders met with the offices of six key members of the Congressional Black Caucus in order to share our stories and vision for bi-partisan criminal justice reform. But we are not stopping there. Until the end of the year, clergy and leaders are hosting Department of Justice Town Hall meetings in 6 key cities, bringing community and law enforcement together to talk about the criminal justice issues most impacting our communities. As men and women returning home from incarceration to our families, communities and places of worship, we cannot wait for the government to lead in recognizing our need and right to work, being dignified full-participants in the lives of those we love. Across our country, we are praying, working and organizing to create new opportunity for our returning family and friends - inviting our elected officials to catch up to where our communities are leading. Thank you for continuing to stand with us in this fight so that all of our brothers and sisters can live free. PS - Click here to read about Ohio's recent choice to "ban the box" on applications for thousands of state government positions. Today, we saw months of our faith-in-action help create new opportunities for thousands of men and women who were once incarcerated and who deserve a second chance as President Obama announced that the Office of Personnel Management would immediately 'ban the box' on federal job applications. Last week, our returning citizen leaders and clergy carried more than 10,000 of our signatures into White House meeting - along with our partners at NELP, Color of Change, All of Us or None, and over 200 other organizations - calling on our President to create fair chance federal hiring. Since last May, under the leadership of returning citizens from across our nation, we've had 5 meetings with the White House and have hosted 5 town hall meetings with the Department of Justice, regional United States Attorneys, and locally elected officials, with more than 2,000 directly impacted community members and clergy. Today’s announcement is a major victory for returning citizens, and our nation. It’s also just a first step toward removing unnecessary barriers that prevent people who’ve served their time from finding work and rebuilding their lives. We continue to believe that no one should be defined by the worst thing they've done in their life. With the President’s announcement, the Federal Government is joining more than one hundred cities and states that have taken actions to promote fair hiring of formerly incarcerated men and women. "It shows what we can accomplish when we make our voices heard," said Tamisha Torres-Walker - an organizer with PICO federation CCISCO in Contra Costa, CA, and a member of the Safe Return Project. 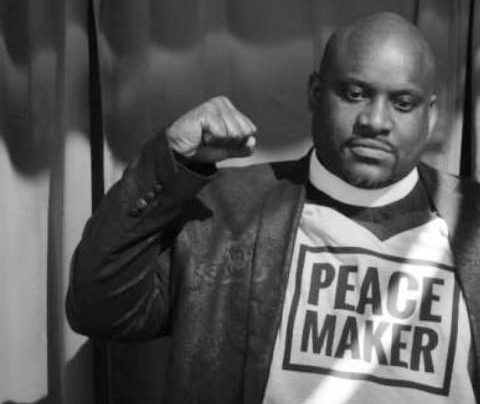 "Being a part of this work as a formerly incarcerated person and mother, I can't tell you how much hope I have knowing that we have only just begun shaking the very foundation to dismantle these systems of injustice and disenfranchisement for returning citizens." As people of faith who worship a God of redemption, and formerly incarcerated men and women struggling to rebuild our lives, we are grateful to President Obama for taking steps to remove some of the obstacles that prevent people with criminal records from finding work. The tide is turning and we are pleased that President Obama heard us, but still have much more to do. We join President Obama and millions of people of faith, calling on the Congress to pass redemptive legislation that secures fair hiring for ALL by banning the box, without exception on federal applications and contracts, so our loved ones can find their path home bursting with opportunities and second chances. PS - Click here to find out more about what President Obama's plan to help our returning citizens get jobs means for our communities. PPS - Click here to read PICO's statement about this exciting progress.